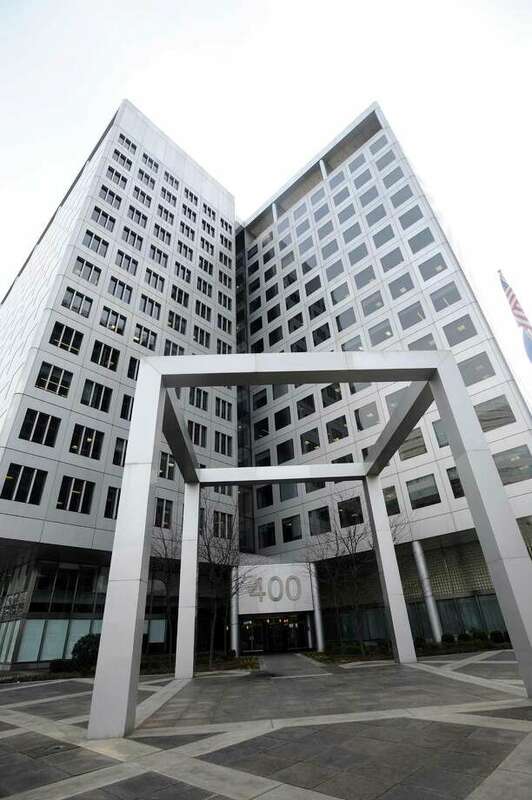 Insurer Navigators Group is headquartered at 400 Atlantic St., in downtown Stamford, Conn.
Stamford-based insurer Navigators Group’s returns rose in the past quarter, the company reported this week. Second-quarter revenues reached approximately $361 million, up 14 percent from the same period in 2017. Its profits jumped 57 percent, to about $32 million. Among other key indicators, gross written premiums totaled about $497 million, up 10 percent from a year ago. Navigators posted a “combined ratio” of 96 percent in the past quarter, compared with 97.3 percent a year ago. The ratio measures the percentage of premiums used to cover losses and underwriting expenses. Any ratio less than 100 reflects an underwriting profit. The U.S. insurance business turned in “another super quarter,” Galanski said, as it recorded a combined ratio of 94.9 percent and saw gross written premiums rise 12 percent. In its largest deal of the year, Navigators announced in early June it had completed for about $41 million the acquisition of Antwerp, Belgium-based specialty underwriter Bracht, Deckers & Mackelbert NV and its affiliated insurance company, ASCO. As part of the deal, Navigators also bought a Luxembourg-based subsidiary of ASCO. Navigators’ Antwerp office is now its largest in Europe, with other centers in Madrid, Milan, Paris and Rotterdam. The company is expanding ASCO’s licenses to support its existing underwriting operations, according to Galanski. “This is a key component of our post-Brexit strategy, to expand our specialty business in the EU,” Galanski said.